Successful businesses don’t run on decade-old, expensive, and siloed backup and recovery products. You need a modern solution to protect the ever-growing amount of unstructured data and apps stored in your network-attached storage (NAS) environment. 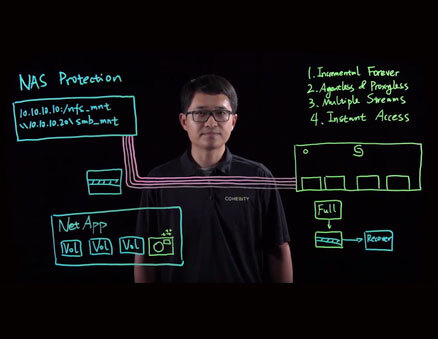 Cohesity DataProtect, the leading software-defined, hyperconverged backup and recovery solution, delivers fast and flexible data protection for primary NAS storage. Enjoy the simplest, most efficient, reliable, and fastest data protection and recovery platform possible for SMB and NFS data stores. Gain snapshot-based data protection for your mission-critical workloads running on NetApp, Dell EMC and Pure Storage FlashBlade--without the use of NDMP or other legacy protocols. Allow backups on-premises and or to the cloud with agentless, policy-based, volume-level data protection and granular file-level restore of NAS data held on SMB and NFS primary storage. Trust fully hydrated snapshots for ensured instant availability to clients and NAS servers for recovery or application test/dev use cases. Find what you need faster with Cohesity. File metadata is indexed automatically on ingest to allow instant search and discovery of NAS file data. Leverage Google-like search for fast discovery of secondary data in the cloud, as well. Put your secondary data to work. Ensure you can use backup data for productive output, including application test/dev, after protecting it on Cohesity. Eliminate the need to manage multiple silos and converge your files and object storage on the same platform you trust for data protection. Give developers instantaneous access to zero-cost copies of your data, speeding test/dev processes. Perform custom analytics jobs of protected data directly on the Cohesity cluster without having to copy data to a separate analytics cluster. Easily analyze data, so you can extract valuable insights from your backups or comply with regulations. Cohesity is exposed as an NFS/SMB mount to provide non-disruptive file and object storage target. Auto-discover and track NAS volume data for storage-efficient, incremental backups, enhancing Cohesity DataPlatform’s global deduplication and compression capabilities. 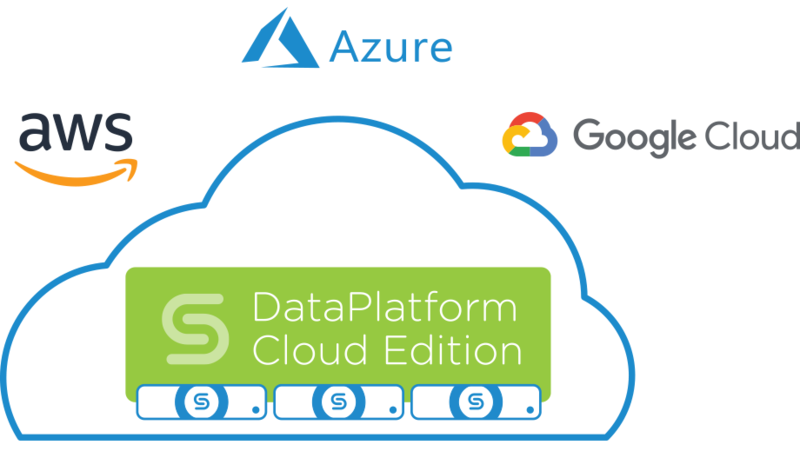 Trust native integration with all leading public cloud providers -- Amazon Web Services, Microsoft Azure, and Google Cloud -- to leverage the economies and elasticity of public cloud for backup and recovery of data and apps with NAS protocols. Leverage compelling cloud economics with native cloud integration for policy-based data tiering. Colder data is automatically tiered to the cloud to maximize your on-premises cluster. Replicate data to a Cohesity cluster running in the cloud to support disaster recovery, test/dev, and analytics. We saw clear value in adopting Cohesity to simplify our secondary storage infrastructure. Cohesity allows us to consolidate data protection and file storage, while providing simple integration for public cloud for long-term archival. 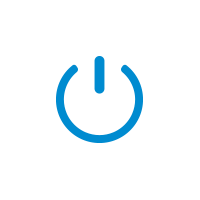 Looking to Simplify Data Protection for Your NAS Workloads?